1. Specially designed open-door way to make the operation very convenient. 2. 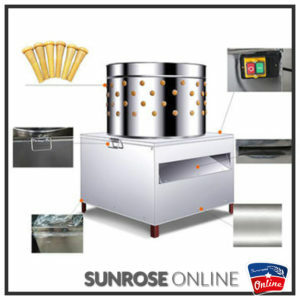 High-performance honeycomb ceramic burner to make a balanced distribution of heat. 3. Independent control on each floor. 4. Strengthened tempered glass, show the delicious food to the customers clearly. 5. Overheat protection and machine safety protection device. 1. Vertical broiling function, high efficient heating element. 2. The process of rotating can be seen at a glance. The machine is made of good quality stainless steel, easy to clean and is in accordance with food hygiene regulations, transparent door and built-in tungsten lamp for the user is designed to ensure even heating the barbecue food. 3. Electronic temperature controller is fixed for automatic control of temperature, easy to operate and energy-saving.